Is your tooth missing or broken? One of the disadvantages of having a missing or broken tooth is that you are likely going to lose your lovely smile and confidence in the public. This can often turn out to hinder so many opportunities for you. However, there is a possible solution to your missing or broken tooth. Mount Dora Dental Implants offers you an incredible chance to replace your missing or broken tooth and get back the lost glory of your teeth. A dental implant is an artificial tooth that is usually placed in-between your jawbone. Once the dental implant procedure is completed, the new dental implant will become a permanent part of your mouth, replacing the missing or broken tooth. The implant will look like and also function just like your original tooth. It will fit perfectly into your dentition. In fact, hardly will anyone know that you are wearing an artificial tooth. For your Dental Implants in Mount Dora procedure or Central Florida Oral Surgery, in case you are in search of a dependable dental care professional providing Dental Implants in Mount Dora, the dental office of Dr. Ronald J. Trevisani, at Lifetime Teeth Today, is the perfect place to get it done. For over 20 years, we have been providing outstanding dental implants services for various patients in Mount Dora, and several other nearby communities. At Lifetime Teeth Today, we care a lot about you and your dental health. We are always working towards offering you the best level of dental care services. Whether you will like to replace a single tooth or multiple teeth, we can get it done. Even if it is your entire dentition that you are looking to replace, we are always ready to help. Dr. Ronald J. Trevisani and his team of dental care professionals and Orlando Oral Surgeons have all it takes to offer you the very best of Mount Dora Dental Implants services. 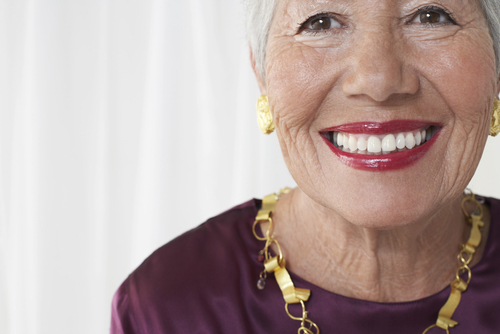 How do you qualify for Dental Implants in Mount Dora? There are certain criteria that the state of your teeth and gums need to meet before you can undergo our Mount Dora Dental Implants procedure. For us to place the implants into your jawbone, you need to have a suitable amount of space and bone integrity in your jaws. With this, you are guaranteed that the implants will be held in place, with no need to worry that it will fall off. A lot of patients still qualify for our Central Florida Oral Surgery, even with the above condition. 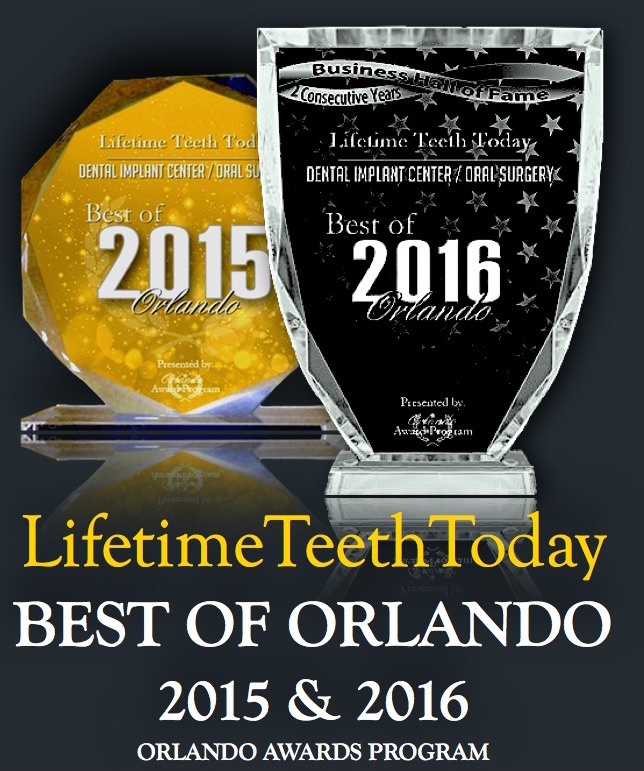 Lifetime Teeth Today is your number one provider of Dental Implants Mount Dora. At Lifetime Teeth Today, we work with a team of well-trained dental care expert that know what it takes to successfully deliver Mount Dora Dental Implants procedure. With our professional Dental Implants Mount Dora procedure, you have a wonderful opportunity to replace your broken or missing tooth with an exact match. 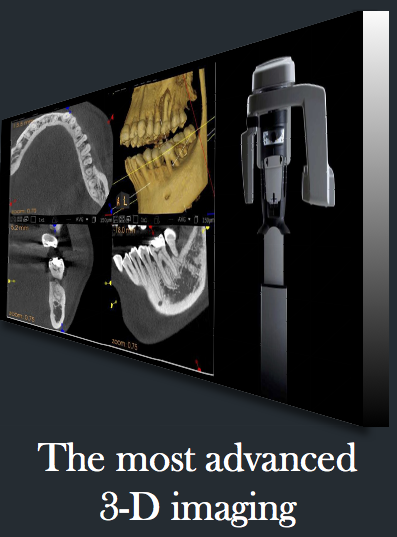 Dr. Ronald J. Trevisani and his team of professional dentists will make use of advanced tools, and ultra-modern techniques to execute the dental implant procedures. As a renowned Oral Surgeon Orlando, you can always expect the best Mount Dora Dental Implants procedure from us. We are always ready to provide an effective, long-term solution to your broken or lost teeth and dental issues. 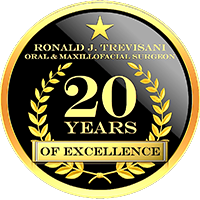 The dental office of Dr. Ronald J. Trevisani is known to provide one of the best Florida Dental Implants services. In order to help you restore your beautiful smile, confidence, and the lost glory of your teeth, we are always ready to dedicate all needed resources. Our team of highly experienced dentists will handle the dental implant procedure. Call Our Dental Office Today! Lifetime Teeth Today provides you the solution to your missing or broken tooth you have been searching for all these while. We are your oral surgeon that always guarantees top quality Dental Implants Mount Dora. Our Central Florida Oral Surgery and Mount Dora Dental Implant services will help get your smile and confidence back. Call our dental office today. Our qualified dentists will be available to respond to all your inquiries.